Whenever I run low on groceries (ie real food with actual nutrients), I always manage to have just enough supplies left to bake something that goes against everything healthy I *should* eat. It might take a bit of searching and tweaking of recipes, but I always come up with something. However, I’m now starting to run low on baking supplies. Unbelievable right? I’m down to my last bit of flour, granulated sugar, and brown sugar. And I have absolutely NO MILK or chocolate. The current state of my cabinets really puts a kink in any baking desires I might have. But you know what doesn’t require much flour or any chocolate? Brownies! 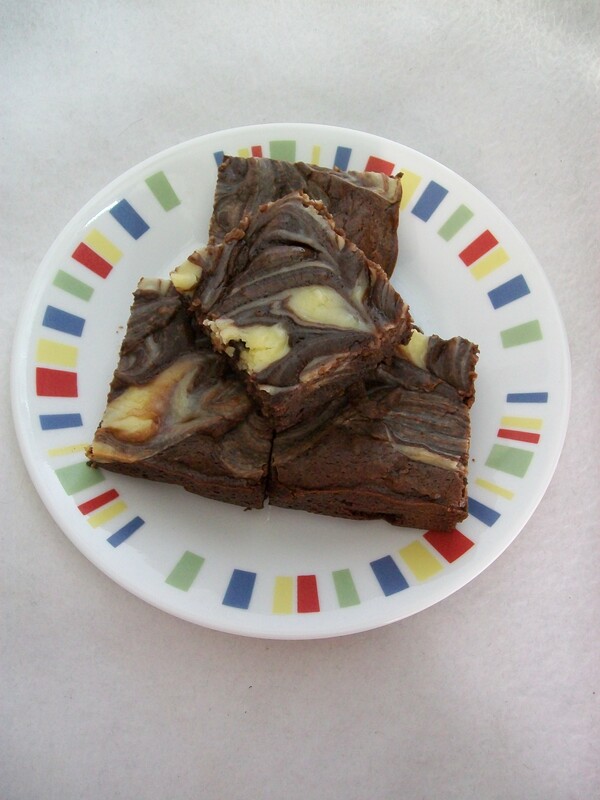 I can never go wrong with my alterations to Best Cocoa Brownies from Une Gamine dans la Cuisine. And who would say no to a cheesecake mixture swirled into them? Not me, that’s for sure. 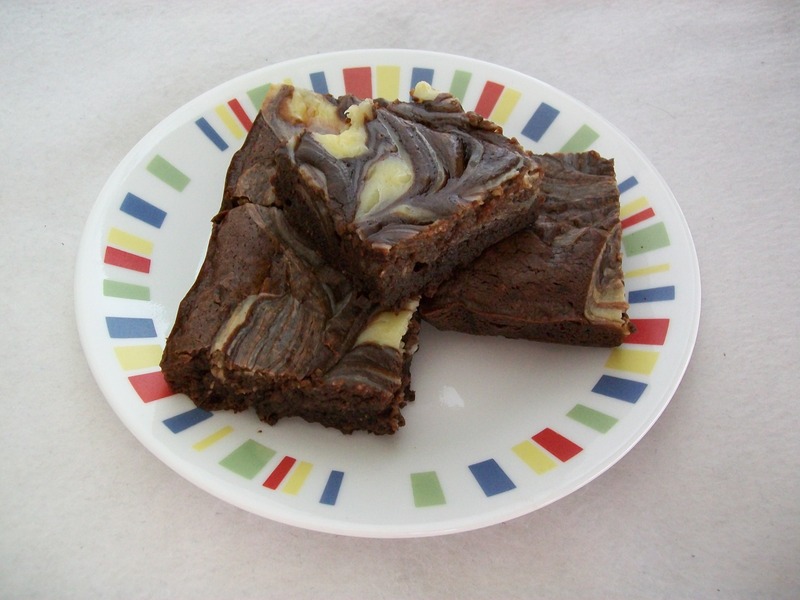 While the original recipe for the Cheesecake Brownies from Buns in my Oven was still amazing when I made them a couple months ago, this combination is truly a winner. 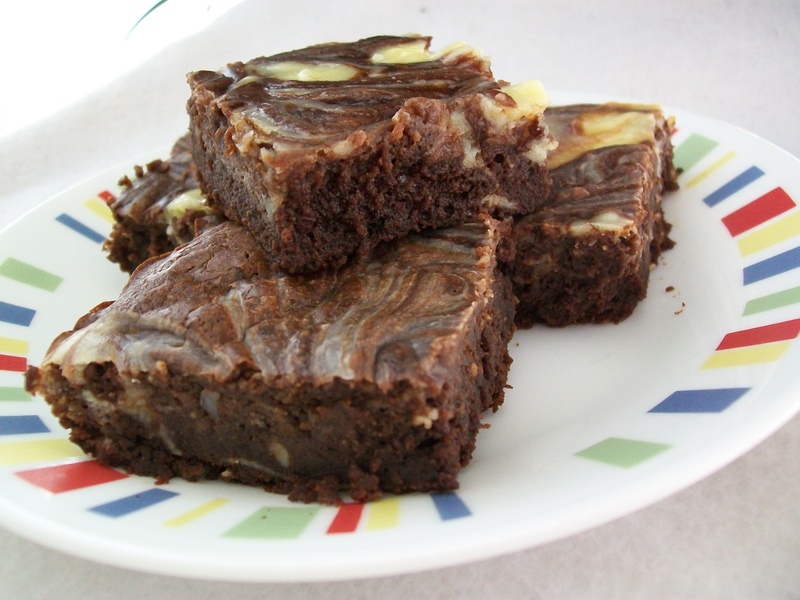 These brownies became infinitely fudgier overnight. When I first cut into them a couple hours after they came out of the oven, they seemed cakier than I wanted. However, after sitting for the night they transformed into brownie bliss. I wouldn’t say no to more of the cream cheese mixture (perhaps I’ll swirl less next time), but other wise I’m in love, and I think my friends will be too. While I would love if I could survive on these, it might be a good idea to drag myself away from the pan long enough to go up to Trader Joe’s so I can get some real food. Previous postAttack of the Chocolate Chip!